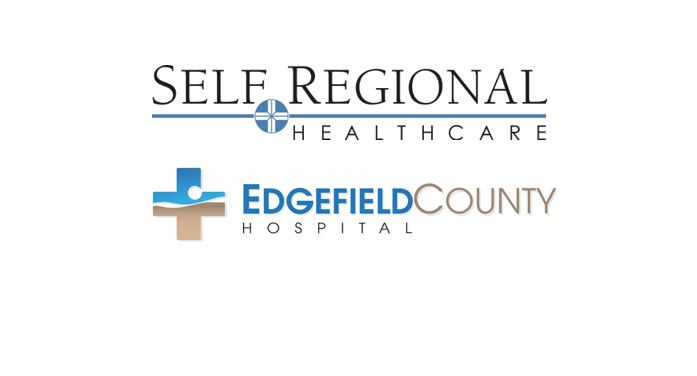 Self Regional Healthcare and Edgefield County Hospital will host a ground-breaking ceremony, recognizing the start of construction of a new medical office building on the campus of Edgefield County Hospital. The event, to which the public is invited, is set for Sunday, November 20, 2016, 3 p.m. This will be at the Edgefield County Hospital Campus, 300 Ridge Medical Plaza Rd., Edgefield. Self Regional Healthcare and Edgefield County Hospital are bringing a 16,600 square foot medical office building to the Edgefield County Hospital campus. Self Regional is funding the construction of the building, which is expected to be complete in the third quarter of 2017. Half of the facility will house a Self Medical Group primary care practice while the other half will be leased to Edgefield County Hospital for the relocation of their rural health clinic, Peachtree Medical Center. The new building reflects an affiliation between Self Regional Healthcare and Edgefield County Hospital and does not indicate any ownership change at either hospital. Both Self Regional Healthcare as well as Edgefield County Hospital will maintain their independence and report to their respective local Boards. On November 20 at 3 p.m., Self Regional and Edgefield County Hospital will celebrate the new endeavor by breaking ground for the first time at the building site. The media and public are invited to attend.